Sterling Silver 4-Band Classic Puzzle Ring with Sapphire. Looks and feels like a designer ring, but it is a challenging puzzle ring. Bright 925K Sterling Silver Ring. Available Sizes in this Style: 6, 8, 8.5, 9, 9.5, 10, 10.5, 11. 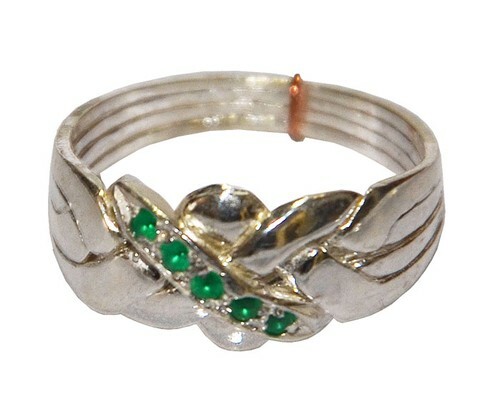 Sterling Silver Puzzle Ring 4-Band Classic with Emerald.